Can hormone treatments improve or increase my chances of conception? Will Hormone Treatments increase Your Chances of Getting Pregnant? When to start thinking about IVF? Do you have heavy periods and are trying to get pregnant? Hi and welcome to Fertility TV. I’m Dr. Marc Sklar, the Fertility Expert and I specialize in natural fertility. I work with couples from all over the world through my online programs and here locally in San Diego in my clinics to help patients get pregnant naturally. In this episode of Fertility TV, we’re going to be talking about can hormonal treatments and hormones improve or increase your chances of conception. At the end of this video stay tuned so you can get the link to my fertility quiz to find out how fertile you are and here we go. The answer is two-fold, it’s yes and it’s no. I know that might sound confusing. So statistically the answer is yes, hormones can increase your chances of conception and they do this by allowing your ovaries to produce more eggs or more follicles so that you can have multiple eggs and potentially have a higher chance of conception. But the answer is no because it also depends on you as the individual, your overall medical history and if you want to use hormone treatments. So there’s two methods or two answers and there’s no right or wrong answer to this. So as I said, statistically it does…the evidence does point to being yes, but it all depends on the type of medication and if it’s appropriate for you. So one thing to recognize is once you start to incorporate any medication or pharmaceutical medication, typically there are side effects that can occur and that you need to be aware of. Aside from increasing your follicle count and your egg growth, that can overdo it as well, so that can cause a lot of discomfort, a lot of side effects both physically and emotionally, so it’s not for everybody. And then second, it really depends on the medication you’re using, some medication will cause more side effects, others won’t, and some medications like Klome with actually have a different side effect, yes they’re improving or increasing your ovarian stimulation and egg production but they’re also can thin your endometrial lining which is counter-intuitive and productive to implantation. So it really just depends on the medication your needs, and also lastly like if this something that you really want to do. I have plenty of patients who are not interested in medication they just want to approach things naturally, and so that’s completely fine, actually it’s my preference, and so those methods would not be appropriate for them. So the bottom line really is is that you need to decide if hormone medication, hormone stimulation of your ovaries is appropriate for you, one, if you want to deal with the potential side effects; and two, if it’s something that you want to try at all. Now there are some cases, so…where it is appropriate and necessary, so if you are considering going through insemination, IUI, or IVF, then certainly that would be a time where we do need to stimulate your ovaries in some fashion and in some way, but even then you potentially have some options in terms of what medication is used. So hopefully that information was useful to you. Now what I want you to do is click on the link take you to my fertility quiz which will give you some information about how fertile you are. 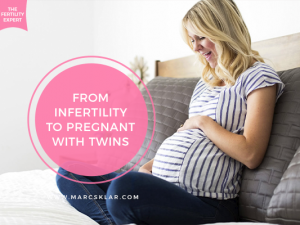 If you want some personalized information straight to you in your inbox then please subscribe to my newsletter by going to Marcsklar.com/newsletter and we’ll also send you a private invitation to my private Facebook group where you can join my community and get helpful tips on improving your fertility. 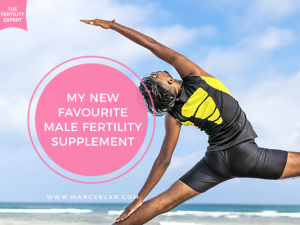 Have you been trying to figure out how fertile you are? Do you really want to know? Then take my fertility quiz; it’s right here. Looking for more guidance during your fertility journey? 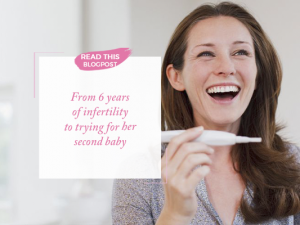 Talk to a Fertility Expert and sign up for our weekly fertility tips! Our mission is to help you address the root cause of your fertility problems, empower your body to its maximum health so you can get pregnant naturally. If you’ve been trying with no success and want fertility help and answers on how to get pregnant, the Hope Coaching is the next step. During this 1-hour online fertility consultation, you’ll get all the fertility support you need, we’ll review your case, give you recommendations and create a next steps for a personalized plan to help you get pregnant The H.O.P.E Coaching is the next step to make sure your fertility journey is going towards a healthy pregnancy. 60 minutes can mean the difference on how long it takes for you to hold your dreamed baby. No matter where you live (our programs are virtual), how long you’ve been trying or your fertility condition, we’re here for you. The H.O.P.E Coaching is a 60 minutes call where we’ll go over your fertility case and give you customized recommendations, that work for YOU. Me and my team of fertility experts are here to help you improve your fertility to get pregnant. Keep learning about How to EMPOWER your fertility naturally with weekly Fertility TV Episodes! For more than 15 years, fertility expert, Marc Sklar, has been helping couples struggling to conceive and have healthy babies. 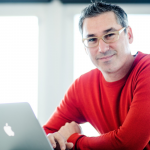 In addition to his Doctorate of Acupuncture and Chinese Medicine, Marc trained at the Harvard Medical School, Mind/Body Medical Institute. He is the creator of MarcSklar.com and ReproductiveWellness.com, and he’s the co-author of Secret to Conception. Marc lives in San Diego, with his wife and two sons. If you’re ready to start a family, Marc can help!